You could always go to the internet for help, but digging through all of those sites could take hours. Save yourself the hassle and worry. We have done the work and provided the 100 best websites for science teachers below. These science sites have loads of resources for science teachers at every level. 1. Exploratorium : Get a virtual museum of science, art, and the human perception here. You can explore straight from the homepage or get webcasts. Be sure and click on the Educate tab for tons of teaching tools such as activities, science snacks, and the Iron Science Teacher. 2. How Stuff Works : This leading science website does just what the title promises. It takes everyday subjects such as cars, snowstorms, and loads of others and puts them in an easy to understand context. Choose from subjects such as animals, electronics, geography, and several expert blogs. 3. Discovery Science : Stop here for the website of a leading science channel. There are games, quizzes, and much more. They even have an exclusive interview with the creator of “Avatar” and the science behind it. 4. Extreme Science : Here you’ll find world records in natural science, including earth science and the plant and animal kingdom. There are also challenges, lessons, and loads more. 5. Federal Resources for Educational Excellence : Get free science teaching resources from the U.S. Department of Education. Science tools include those for applied, Earth, life, and physical sciences. There are also options in other subjects. 6. Nova : This leading science show has been a staple of PBS for decades. Stop by to check out the archives on subjects such as anthropology, disasters, flight, and more. 7. MadSciNet : The 24 hour exploding laboratory, there is a collective of scientists to provide answers to science questions. With an archive of over 36,000 answers, you can find challenges for students of all ages. 8. Science Learning Network : Visit this science website to get news, museums, and resources. Funded by the NSF, they include flight, the sun, oceans, and more. Use the resources found at these top magazines to teach students like never before. 9. Scientific American : A must visit science website for its “60 Second Science” podcast alone. Teachers can also choose to read expert articles on space, energy, the mind, and much more. There are also various contents and challenges featured on the site. 10. National Geographic : The photo of the day and pop quiz can have science teachers visiting the website daily. They also have tons of articles and videos to choose from including The Science of Speed and Test Your Travel Smarts. 11. New Scientist : This leading publication has many resources on their website. Choose articles on a wide array of topics, blogs, opinion, videos, and galleries. 12. Science Mag : This science website also has a regular podcast on purely scientific subjects. You can also click on Multimedia to get videos, slideshows, and images. 13. Nature : This magazine focuses on both science and medicine. The Open Innovation challenges are excellent for students and there are many articles on hot science topics such as stem cells and climate change. 14. Science News : A publication by The Society for Science & The Public, there are loads of features and columns to read. Must see entries include 2009 Science of the Year and Black Holes Powering Starships. 15. Technology Review : This scientific journal is published by the experts at MIT. Technology is often featured, and teachers can get useful videos, blogs, and more. Because kids love animals, get them to know the scientific side of our furry friends by stopping at the below. 16. Nature : With a special section for educators, this animal science website is a must visit. There are also video clips and slide shows with much more. 17. ARKive : Click here to get a look at some of the world’s most endangered species in both plant and animal form. They also have updates, slideshows, and more. 18. Animal Planet : Both animal lovers and science teachers will enjoy this site. There are resources on pets, wildlife, animal causes, and more. 19. Infrared Zoo Gallery : View all sorts of animals through a thermal infrared camera. Students can actually see the difference between hot and cold blooded animals, along with many other interesting facts. 20. Zoobooks : Stop here to get a virtual zoo full of primates, birds, reptiles, and more. There are also quizzes, games, and more for teachers. 21. Animal Games : Get your students to learn about animals by playing these games. They include Animals of the World and Animal Adventure. 22. National Aquarium : Located in Baltimore, they have resources on many water dwelling animals. Choose from amphibians, birds, fish, and more to get a detailed description of many species. 23. The Insects Home Page : Called “the most successful life form on the planet,” this website is devoted to the science of insects. Get guides, anatomy, and even specialty topics such as the strongest or fastest insect. 24. Animal Land : The ASPCA provides this site to teach more to kids who love animals. There is a spotlight animal, careers with animals, and ask Azula. Get science students excited about the lab with the help of these websites. 25. Chemistry Guide : Stop here first to get loads of tools for chemistry teachers. They include databases, dictionaries, encyclopedias, and much more. You can even do a search for your own specific need. 26. Royal Society of Chemistry : Both British and other science teachers can use this website to support their chemistry teaching in a number of ways. Choose from resources, career information, activities, and even competitions. 27. The Atoms Family : Visit here for a website that teaches chemistry to students with monsters. Mummies, vampires, and more teach about energy, light, atoms, and conservation. 28.. The Comic Book Periodic Table of Elements : If your students have trouble memorizing the table, click here. Superheroes and cartoon characters are used to teach all about them. 29. Chemical Week : Have students that say “when am I going to have to use this?” Then stop here to get a look at how chemistry effects everyday life. 30. Organic Chemistry Practice Problems : More advanced science teachers should stop here to have a look at complex science problems. The same as used by the students at Michigan State Universities, they include nomenclature, conformations and stereochemistry, and others. Learn more about the human body and other forms of life with these science websites. 31. Discovery Health : Science students of all ages can find life science items on this site. There are guides for diseases, tips for healthy living, and more. Kids can also get games and fun. 32. Neuroscience for Kids : Have students who wonder how the brain works? Then take them here for a website just for them. 33. Human Genome Project : Completed in 2003, the Human Genome Project was a 13-year project coordinated by the U.S. Department of Energy and the National Institutes of Health. 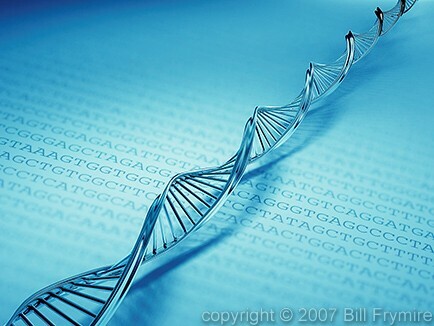 Its goals were to identify the approximately 25,000 genes in human DNA, determine sequences, and more. See how the results turned out by visiting the site. 34. Inner Body : Get a guide to human anatomy completely online here. Simply choose from eight different systems including male and female reproductive. 35. Biointereactive : Part of the Howard Hughes Medical Institute, they help you teach ahead of the textbook. You can get topics, lectures, animation, and virtual labs. 36. Online Biology Book : Visit here for just what the title promises. This online biology textbook contains 59 chapters on everything from cells to the development of evolutionary theory. 37. NASA : With loads of images, videos, and podcasts, be sure to make time for this massive site. You can get loads of information on missions, solar system, the Earth, and more. There are also interviews with astronauts and leading NASA officials. 38. Astronomy Picture of the Day : Start off each science class by checking out the pictures here. Both a picture and detailed description are featured. The archive dates back for years if you need more. 39. Astronomy : Astronomy For Kids and an Intro to the Sky are just a few of the reasons space science teachers should visit the site. They can also get news, blogs, videos, and other guides. 40. Sky & Telescope : This magazine also has many tools for space science teachers. You can get interactive star charts, observing highlights, podcasts, the sky at a glance, and more. 41. Space.com : Breaking news and multimedia are featured on the homepage of this science website. Highlights include a video show of Endeavor’s mission, daily reports, and even a black hole waltz. 42. NASA TV : The eleventh most visited channel on YouTube, there are hundreds of historic videos to view. They even have several sub channels such as Ares, Chandra X-ray, research, and more. 43. Windows to the Universe : Get pictures and guides for all segments of space including the Earth, solar system, and beyond. There are also guides for life, geology, and physics. 44. SEDS : The Students for the Exploration and Development of Space have a special section where they share all of their projects. A good choice to view, and even emulate, leading space science projects. 45. Astrobiology : Life in space? See how space can affect both human and animal life with this science website. 46. Space Ref : If you need to do a chapter on a planet such as Jupiter or Mars, stop here for a link to it. There are also loads of other information including the history and future of science. Get back to Earth with the help of these science websites for teachers. 47. Earth History Resources : Here you will find many graphic images designed for use in the development of either an online internet or interactive multimedia project related to Earth History. These images consist of photographs of dioramas, fossils and models, and computer generated images and drawings. 48. Exploring Earth : Explore Earth Science chapter by chapter by stopping here. Eight units cover everything from the history of the Earth to space. 49. National Ocean Services : Get resources for science teachers from this site for students from grades three through twelve. There are charts, tutorials, and even a lesson plan library. 50. Archaeological Adventure : Accompany scientists as they go on digs with the help of this science website. There is also information on past digs. 51. Voyage to the Deep : The Alvin explored hydrothermal vent sites in the Sea of Cortes and invites you to join along. You can also learn more about geology, sea creatures, and chemistry. 52. EPA Teaching Center : The Environmental Protection Agency offers free lesson plans and activities to science teachers. They can also get free publications, apply for grants, and more. 53. Hurricane: Storm Science: Teach kids all about this natural disaster by clicking here. View a hurricane from the inside, learn about instruments, and get interviews with survivors. 54. Earthquakes for Kids : Students can learn all about the science behind earthquakes on this site. The site has information on the latest quakes, puzzles, projects, and more. 55. The Disaster Area : Visit this FEMA site to teach kids all about disasters from floods to volcanoes and more. Simply click on a disaster to learn more about it. Children early on in their studies of science and their teachers will enjoy these science websites. 56. Brain POP : A guide to how the world works, they have resources for many teachers including science. Choose from help with genetics, energy, matter, and much more. You can even get free movies and webinars just for teachers. 57. Kapili : Get an online introduction for many different sciences including chemistry, biology, geography, cosmos, and physics. Each short section has an introduction, activities, and more. 58. Nat Geo Kids : National Geographic maintains this site just for kids. Travel, animals, geography, and much more are included. They also have activities and interviews with scientists. 59. The Yuckiest Site on the Internet : If you have students with a gross science questions, take them here. It contains a Whack-A-Roach game along with all you need to know about barfing, belching, and more. 60. The Science Club : Visit this non-profit site to get ideas for projects and fairs. There are also other resources such as books and services for teachers. 61. Try Science : Get science fair projects and ideas by stopping here. There are also ideas for field trips and finding a science center near you. 62. Great Thinkers and Visionaries : Get the biographies for many scientific leaders by stopping here. They include everyone from Isaac Newton to Stephen Hawking. 63. Funology : Teachers can get a science website that makes it all fun by stopping here. There are jokes, riddles, games, magic tricks, and a Boredom Buster. 64. Planet Pals : Helping kids be friends of the Earth, there are crafts, games, and music. Teachers can also get lesson plans and other downloads. High school students and beyond can use these science websites. 65. Frank Potter’s Science Gems : There are many tools for advanced students, along with younger ones on this site. Additional class resources include science web quests, reference desk, and great discoveries. 66. BBC Science : Get previews of top science shows by stopping here. They also have other interesting tools such as a personality test, profiles of science explorers, and more. 67. Interactives : Learner helps educators by providing strategies, content, and activities that can enhance skills in a variety of areas, including science. Lessons include DNA, garbage, the periodic table, and others. 68. Earth Sky : Millions of visitors stop here to learn more about the earth, space, health, and much more. There are interviews of the week with scientists in different subjects and they feature several on the homepage. 69. McRel Products : Visit here for a list of scientific experiments that can be done in your very own lab. Promising ones include air cannon, dancing penny, nickel karate, along with others. 70. Why Files : Because many students want to know why, teachers can stop here for scientific queries. In addition to useful articles, teachers can also get activities and stories for science standards. 71. Strange Science : Show older students the history of science with the help of this website. Highlights include a Goof Gallery where science got it wrong. 72. PhysLink : They have been providing online education since 1995. Students get education resources such as essays, grad advisor, theories, and even an ask the expert section. 73. Science Friday : Adults make science user friendly for students and teachers. There are podcasts, blogs, and even a Kids Zone with loads more. 74. PopSci : Gadgets, cars, and technology are just some of the science topics here. Teachers can also get galleries and videos with much more. If you can’t afford a field trip to the science museum of your choice, visit these websites for the next best thing. 75. Smithsonian Institute : With a special tab for teachers, you can get lesson plans, a resource library, and even tools for professional development. There are also lessons for art, history, and language. 76. American Museum of Natural History : This museum has both news and podcasts to get with just a click. There are also resources for kids, exhibit information, and more. 77. The Franklin Institute : Located in Philadelphia, they have resources for scientific learning. There are regular “braindrops” to help students learn, case files, and even competitions for fourth through eighth grade students. 78. Museum of Science and Industry : In addition to learning about the current exhibits, you can also click on Online Science to get more. Tools include videos, games, and how-to’s. 79. Intrepid : This sea, air, and space museum is located in New York. Visit to get online projects or more information on programs for teachers. 80. National Air and Space Museum : This top science website offers a variety of free educational programs for school groups and organized youth groups. There are also classroom activities, including electronic field trips. 81. The Museum of Unnatural Mystery : Not a traditional museum, there are still resources for science teachers here. Choose from the stranger topics such as cryptozoology or UFO mysteries. 82. National Zoo : Part of the Smithsonian, you don’t need to visit to get the experience. There are actual live animal cams to show what is happening in real time. There are also photo galleries with more information on the animals. 83. San Diego Zoo : A world famous zoo, they also have live cams to view the animals with. You can also click on Education to get curriculum, classroom kits, and activities. Use these websites to increase your own knowledge of science. 84. Science Daily : Hear about a breaking news in science but don’t know where to read about it? Then click on this site to get all science headlines, all the time. 85. ScienCentral : Both science videos and news are featured here. In addition, they have relevant articles such as on naps and creativity, as well as the difference between girls and boys when it comes to math. 86. EurekAlert! : If you need scientific news by subject, this is your website. Choose from archaeology, biology, chemistry, and many more. 87. Science Dictionary : If you need help understanding a word or term, stop here. You can also get glossaries for science subjects such as chemistry, physics, biology, and more. 88. First Science : Stop here for another website loaded with science headlines. Teachers can also get poems, quotes, games, and quizzes. 89. National Science Teachers Association : Even if you aren’t a member you can still get resources and news. You can also get classroom specific information for elementary, middle, high school, and college students. 90. Sci Tech Daily : Simply clicking on the Brain Food section alone can give you dozens of scientific topics to share with your students. There are also questions, portholes, and news. 91. NY Times Science : Get just the science headlines from “The New York Times” by clicking here. There are special columns, a place to send in your questions, Science Times podcast, and most popular articles. 92. CNN Science and Technology : Similar to the above, get just the science and technology news with a visit to this sub site of CNN. There are featured stories, a blog, and loads of videos. Use these tools from websites to help teach science. 93. Scirus : Use this search engine the same way you would with Google, but for scientific information only. There is also an advanced search and preferences. 94. WebElements : Click here for a tool that every science teacher needs: a periodic table. Click on any element to get more information, or get more information on topics such as isotopes, bond enthalpies, and more. 95. Calculator.com : Show students how to use their calculators by visiting this site full of free ones. Choose from scientific, standard, or dozens more. 96. Sheffield ChemPuter : If you need more advanced scientific calculators, stop here. There are options for isotope patterns, element percentages, reaction yields, and others. 97. Atlas of the Human Body : This free tool is provided by the American Medical Association to help educate patients. However, science teachers can use it to show students various systems such as nervous or endocrine. 98. Scanning Electron Microscope : If your school has one, visit here to learn what to expect from it. You can also click on teacher resources for interesting projects such as how to build your own microscope. 99. The Science Explorer : If you have a few common household items, this science website can help you create fun and exciting projects for kids. Choices include static, mirrors, mixtures, and more. 100. The Internet Encyclopedia of Science : David Darling lets teachers and all visitors browse through this scientific encyclopedia for free. He also has an encyclopedia just for kids and for renewable energy and sustainable living.